Turn your smartphone into a NOAA emergency weather radio. Get storm-based alerts for tornado, hurricane, flood, thunderstorm, winter storm seasons and other life-threatening weather events via voice and push notification. Storm Shield delivers storm-based alerts using NOAA polygon warnings. Receive critical alerts via voice and push notification to keep your family safe. Over 150 radars in your pocket! RadarScope is a specialized display utility for weather enthusiasts and meteorologists that allows you to view NEXRAD Level 2 radar data and severe weather warnings. It can display the latest reflectivity, velocity, and other radar products from any NEXRAD radar site in the United States, Guam and Puerto Rico. These aren’t smoothed PNG or GIF images, this is real Level 3 radar data rendered in its original radial format for a high level of detail. 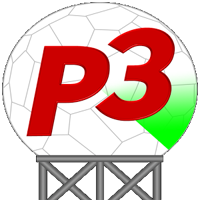 PYKL3 Radar is the most advanced and highest rated Android weather radar display app available cutting edge customization and data display options. If you live in the USA, and are on the go, this is the app to have for anyone who is affected by weather. No static images here, these are the raw data displayed in their pure form on a dynamically generated map. No matter if one is just attending an outdoor event or in the path of a tropical cyclone or line of severe thunderstorms, PYKL3 Radar delivers data to your device with a clear and accurate picture of the storm along with official warnings and your own location*. It truly provides weather data when you need it…where you need it. Download the PYKL3 App here. With iMap Weather Radio you will receive critical alerts via voice and push notification regarding life-threatening weather events. Enjoy the power of a NOAA Weather Radio, with all the convenience and precision of a smart phone. Memphis and Mid-South weather – where and when you need it! MWN’s mobile applications deliver on our mission to be wherever you are. Built for iPhone/iPad and Android smartphones and tablets, they put MWN in the palm of your hand, whether planning your day or in the middle of the storm. The MWN app includes the MWN Forecast written by our meteorologists (not generated by a computer model), StormView Radar with pan-and-zoom control, realtime StormWatch severe weather map, the latest local weather conditions, and access to our vast array of information on social media including Facebook, Twitter, and the MWN Blog.